all of your sprinkler and irrigation repair needs​. We Can Help! Our team of expert Plano sprinkler repair technicians at Sprinkler Repair Plano are highly trained and experienced to help you with all of your sprinkler and irrigation repair needs in Plano and Dallas-Fort Worth. Sprinkler Repair Plano Texas provides affordable Plano sprinkler repair solutions. We have over 20 years of experience in helping Texas home owners with their sprinkler and irrigation systems throughout the Metroplex with many satisfied customers referring our services because not only to we do a great job, but we actually troubleshoot the problem and provide a thorough diagnosis so that you know exactly what your sprinkler or irrigation problems are before we get the job started. We pride ourselves on honesty and integrity so that when we arrive at your home, if the problem is minor, we will tell you what is needed to provide a solution. If you are looking for a sprinkler repair team, we want to be your guys for all of your sprinkler and irrigation problems. We offer sprinkler repair, irrigation installation, and system upgrades. We are sprinkler and irrigation specialists. ​If you have a sprinkler repair or irrigation repair emergency in Plano or surrounding areas, feel free to contact us immediately. We are available 7 days a week to help you with all of your sprinkler and irrigation repair needs. Sprinkler systems are viewed by homeowners as a luxury home improvement landscaping project. There’s no doubt that they’re convenient, giving you back hours of your leisure time during beautiful summer evenings. Few homeowners realize that sprinkler systems are also better for your lawn. Despite a careful hand and a good internal clock, there’s no way a human lugging a garden hose around the lawn can deliver a consistent, uniform amount of water to their lawn. Worse yet, most homeowners water their lawn when they get home from work or shortly before they go to bed. This is the absolute worst time to water your lawn. The water will be slowly absorbed into your lawn and even slower to evaporate into the night air. This leaves your lawn sitting in water, which is a recipe for germinating all types of fungus and other common lawn diseases. The best time to water your lawn is in the morning when the sun will prevent water-logged hazards. Few homeowners are able and willing to water their lawn at the crack of dawn between their shower and cup of coffee. Nor should you have to. A programmable sprinkler system will water your lawn in short periods throughout the day, keeping your lawn from drying out while preventing the growth of lawn disease. It will focus more water in the morning on the east-facing side of your home, and a heavier regiment in the afternoon for the west-facing side of your home. Without such a system, you’re forced to choose between rearranging your daily schedule or giving your lawn sketchy maintenance that can lead to costly lawn treatment services. Of course, to get these advantages you must have a properly designed and installed sprinkler system. This involves a lot more than laying pipe and installing sprinkler heads. Zones should be created to tailor how each section of your lawn receives water throughout the day. Valves must be used to keep each sprinkler head from draining the water pressure to ensure the last sprinkler head in each zone sequence delivers the same amount of water as the first. The heads themselves must be precisely placed on your lawn to create head-to-head coverage and uniform irrigation pattern. Without this type of meticulous design, you might as well still be lugging the garden hose around your yard. Give your yard the gift of green! A well-designed and professionally-installed Dallas sprinkler system will do wonders for your lawn, and your summer evenings. Some homeowners are reluctant to install a sprinkler system, however, when they first see the price tag. 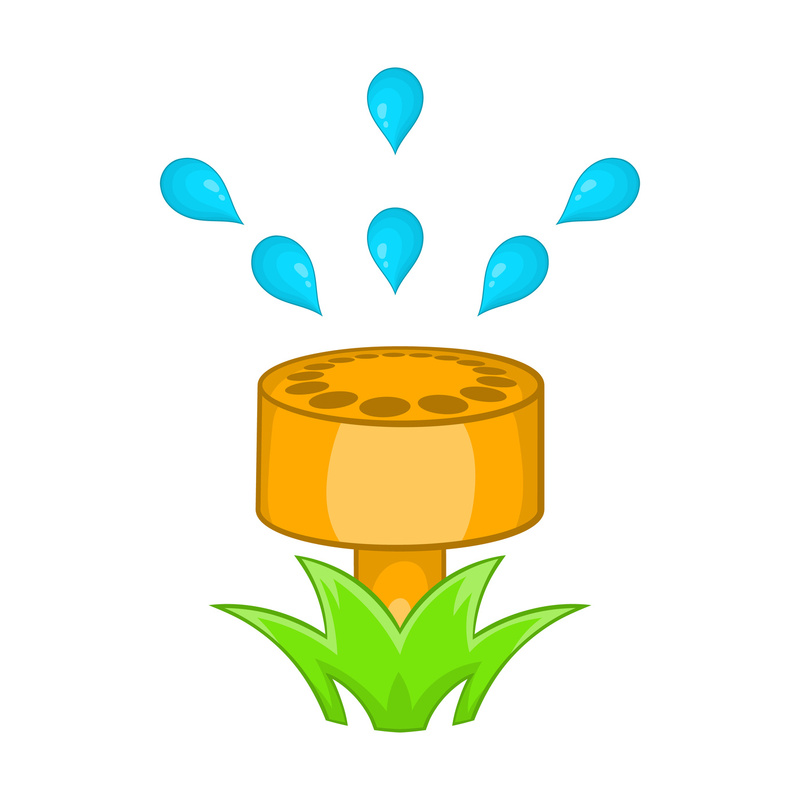 The average sprinkler system in Dallas costs $3,500 with an overall range of $3000-$5,000. If this price surprises you, you’re not alone. But you should also know that many Plano homeowners realized their sprinkler system was worth every penny, including several that noted they wished they had installed the system earlier. ​As a further testament to the deceptive complexity of a sprinkler system, there’s a good chance it will take a professional Plano sprinkler system contractor a few days to install your system. To make sure things go smoothly once the work begins, you’ll want to talk to several different contractors and clearly communicate what you want to the contractor you hire. Have the contractor explain how your sprinkler system will work and how it delivers uniform irrigation to your lawn. This explanation will help you get to know the contractor and feel confident in the sprinkler system itself. No system lasts forever so this explanation may also help troubleshoot problems in the system many years down the line.